Friday morning we woke to what may have been the most beautiful, sunny, and surprisingly windy day of our trip. We were off to see Giant’s Causeway which is one of the most popular tourist attractions in Northern Ireland. The Causeway is the result of an ancient volcanic eruption and is made up of about 40,000 interlocking basalt columns. The tops of the columns disappear as they descend down to the sea creating stepping stones. I had never heard of Giant’s Causeway before, so I went there without any expectations. It happened to be that this was the place where I had my “Wow!” moment of the trip. When we arrived we were welcomed by the wind and ushered off to the path that lead up to the Causeway, along the walk we saw the incredible columns that had been formed by lava thousands of years ago. I had been caught up taking pictures of the columns when I realized that I was behind the rest if the group. I started hurrying to catch up with my friends when I decided that it was ok to slow down, take my time, and enjoy my walk. While doing this, I pulled out my phone to shoot a video of my walk, and winded up catching the best clip of the trip. The columns created a wall of rock that juts out from the green hillside. At the edge, where the rock meets the land, there is a small doorway that once you are through, the path continues. As you turn the corner and cross the threshold, the land opens up to reveal an awe inspiring view of the shoreline where the sea meets the land and swirls and crashes into the rocks that live between the two. Here the salty sea foam floats and flys like someone has just shaken a snow globe. This is where I had my moment. As I was approaching the group, a sea foam tornado suddenly appeared. It twisted and twirled for just a moment before it became sea snow, but it was long enough for me to capture it on camera. In the video of the twister you can actually here me say “Wow!” It was one of the most amazing things I had ever seen, and I feel so lucky to be able to go back and watch it again whenever I need some inspiration. After Giant’s Causeway we went to visit Dunluce Castle. The castle sits and the edge of a cliff and dates back to medieval times. We climbed down to a cave below the castle for some pictures before heading off to Belfast. 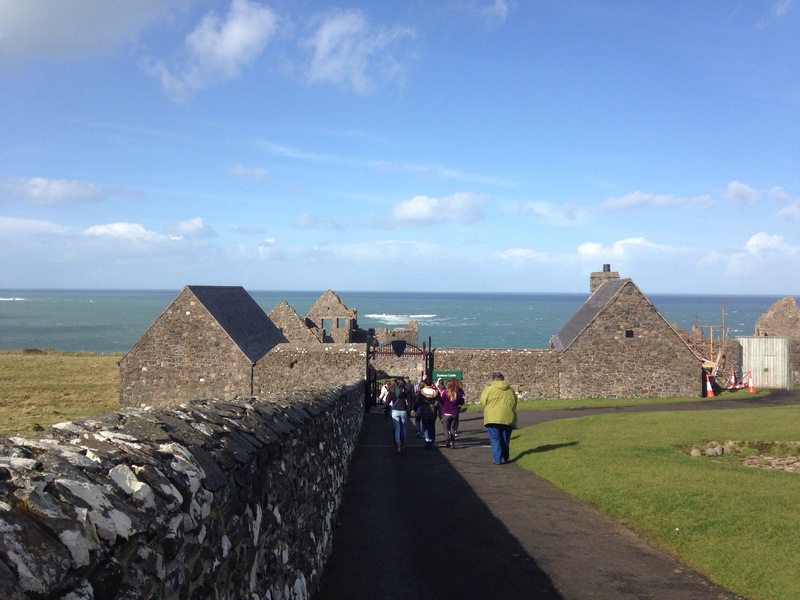 Enjoy the videos of Giant’s Causeway and Dunluce Castle! After having breakfast at our hotel on Thursday we boarded our bus and met with our tour guide Ronan, who walked us through Derry to teach us the history of the city. It wasn’t until that morning that I noticed how different Northern Ireland felt from the Republic of Ireland. It was a bit bleak and somewhat dreary in Derry. 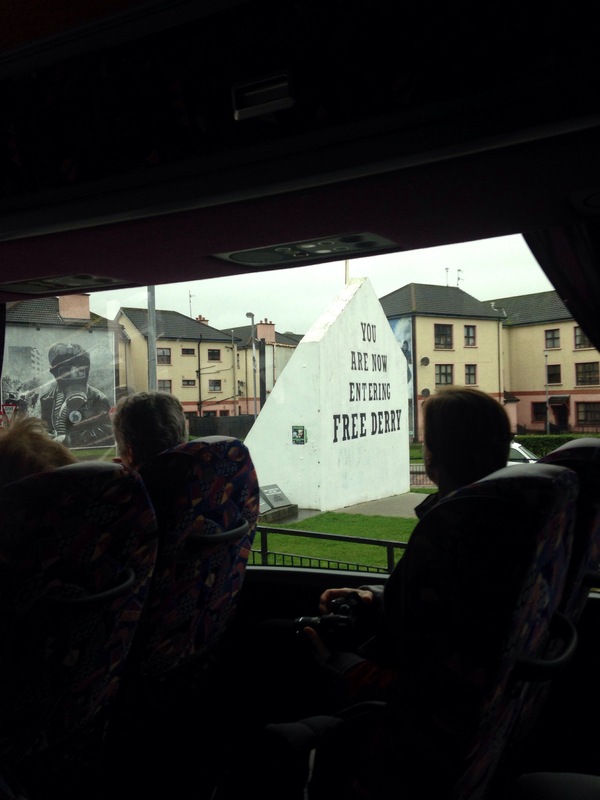 Clouds brimming with tears hung above our heads as we heard the story of the Battle of the Bogside and Bloody Sunday. I have known the song “Bloody Sunday” by the Irish band U2 for a long time. I even know most of the words to the song, but I never knew the story behind it. I knew it was about something bad that happened in Ireland awhile ago, but that was about it. 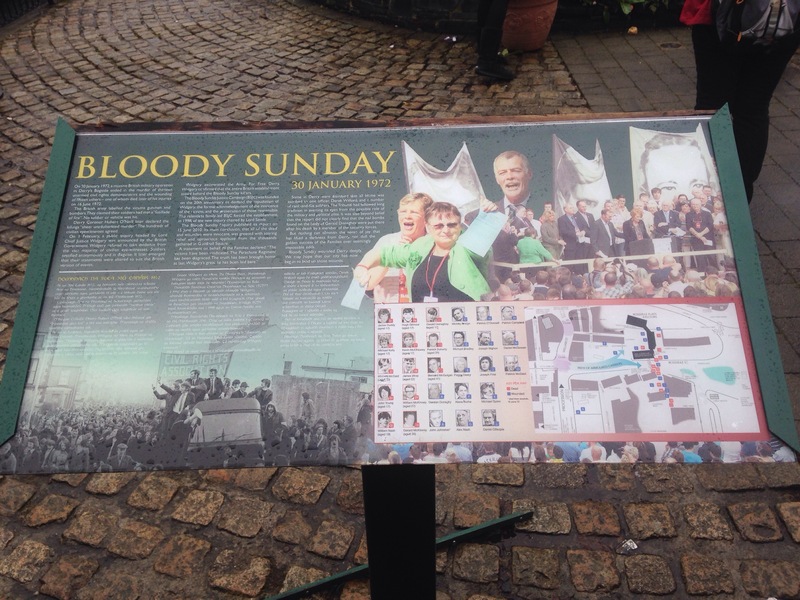 When I actually learned about Bloody Sunday in Bogside, several things surprised me. The first thing that struck me was that Bloody Sunday happened in 1972, which to me isn’t exactly ancient history. Bloody Sunday is also known to some as the Bogside Massacre, which somewhat resembles the 1770 Boston Massacre in the US, when the two are compared. To see a tragedy like this repeat itself more than 200 years later, with nearly three times the deaths, over a very similar argument was shocking to me. I found myself wondering if any of the soldiers involved in Bloody Sunday had ever learned about the Boston Massacre, and if they hadn’t, would education on that event have made a difference in their actions? It is so important to educate people about situations that occurred in our history that were not handled appropriately, so we can learn from them and attempt to prevent history from repeating itself. We finished up our tour of Derry with a visit to Guildhall, which is where the City Council meets. Inside we saw a statue of Queen Victoria that had been damaged by a bomb in 1972. Her head had been severed and her hands blown to bits, but when being restored, her head was able to be reattached. After leaving Guildhall we walked to the Tower Museum. 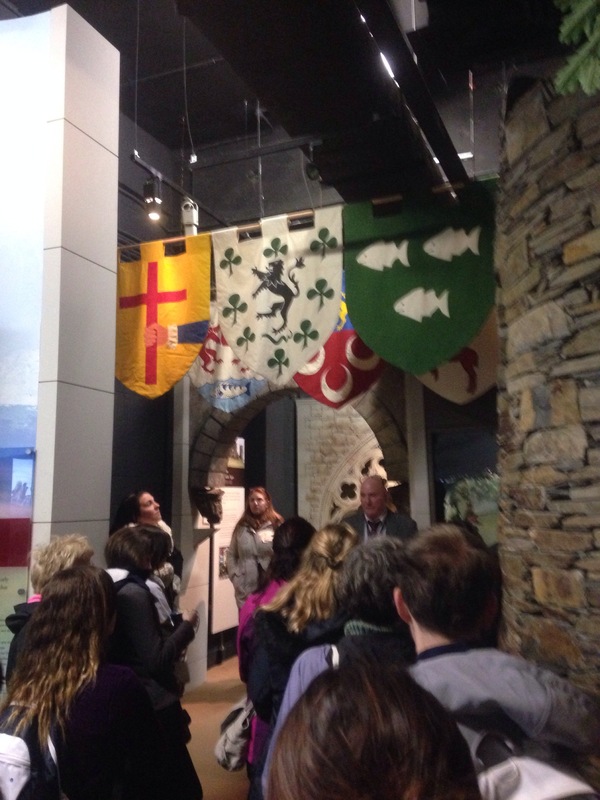 There we explored the Story of Derry exhibit where we learned about the history of Derry and how the city began. From there we went back to our hotel to relax for the evening. It was a very educational day that kept me asking questions. You can learn a great deal about a city by simply walking through it. 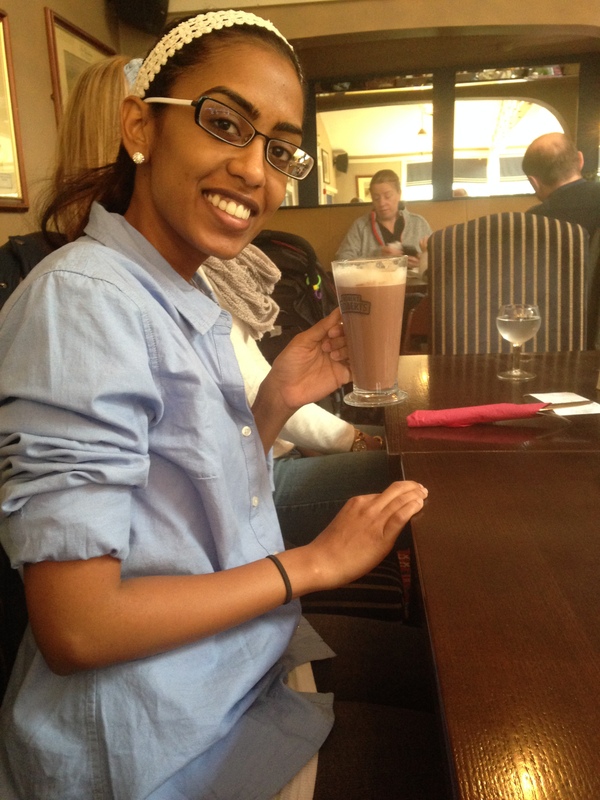 Enjoy the video of our day in Derry! Wednesday morning we left the Woodlands and were off to see the famous Cliffs of Moher. The Cliffs were astounding and to me, had a bit of a mystical feel. Perhaps it was the fog that had rolled in, or the roaring of the waves paired with the whispers of the grass, but I could understand why many filmmakers have sought out the cliffs and the caves below to capture that feeling of ominous uncertainty. 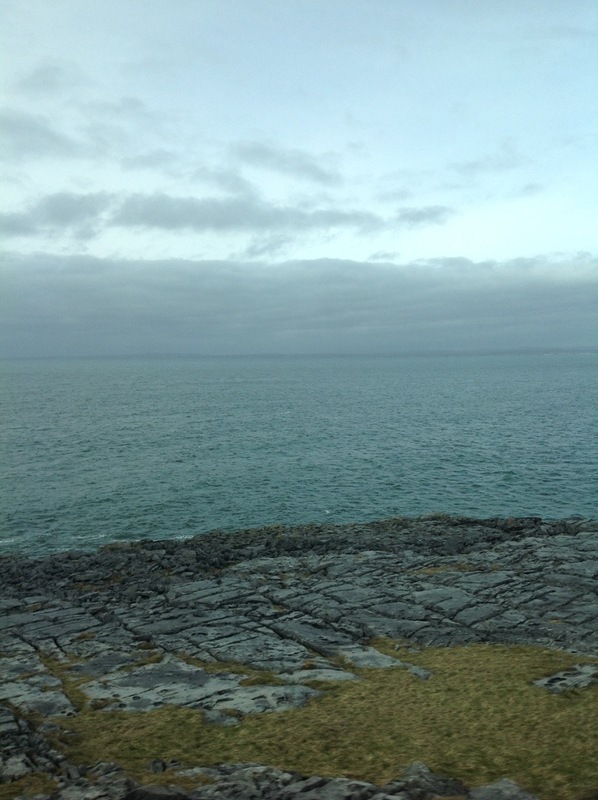 After visiting the cliffs we stopped off at a place called The Burren. This Alvar is the exposed bedrock of a limestone plain, and is one of the largest landscapes of its kind in Europe. There were no guard rails at the Burren so you could get very close to the edge which made it feel as if it were even higher then the Cliffs of Moher. I had never heard of the Burren before, but the barren land before me contrasted so with the green blanket of grass behind me it felt as though we had stumbled upon something secret. 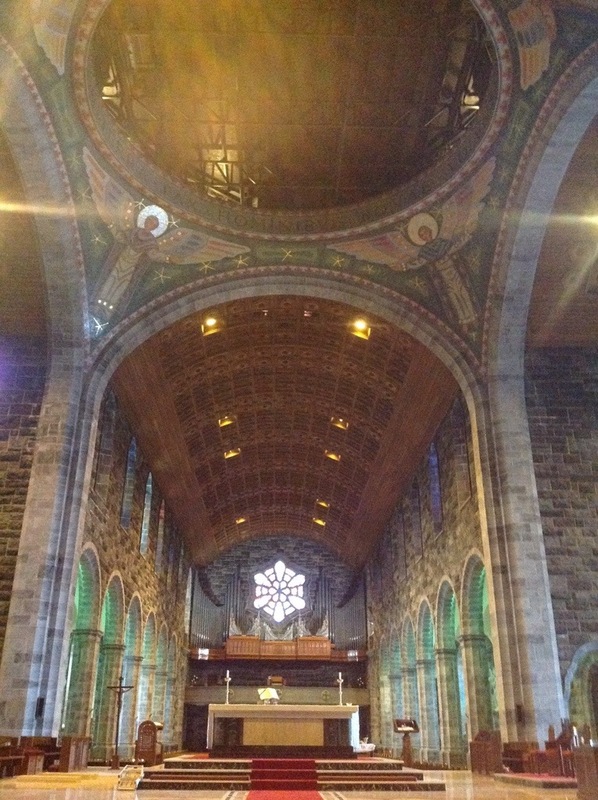 On our way to Derry we stopped in Galway to see Galway Cathedral and have lunch. We made one more pit stop to see the grave of W.B. Yeats, a famous writer who founded the Abbey Theater, before we arrived in Derry that night. 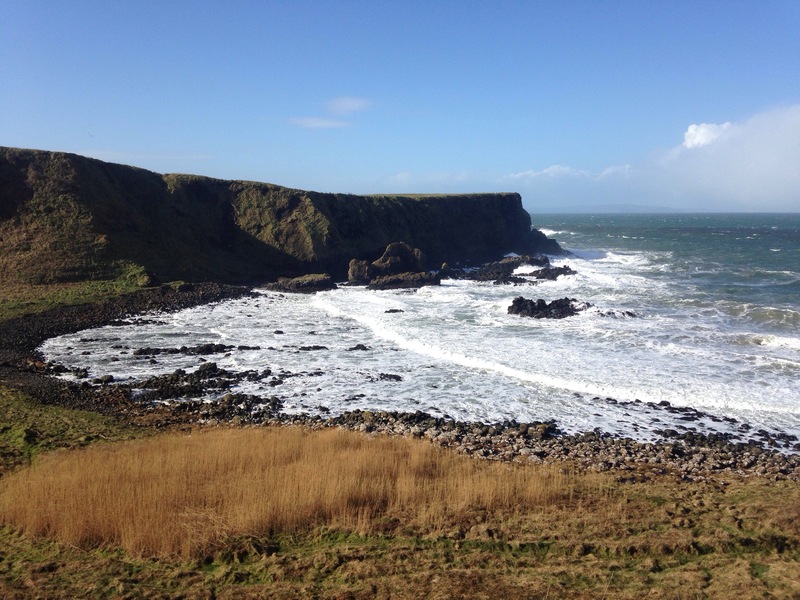 Here is a video of our visit to the cliffs and drive to Derry! 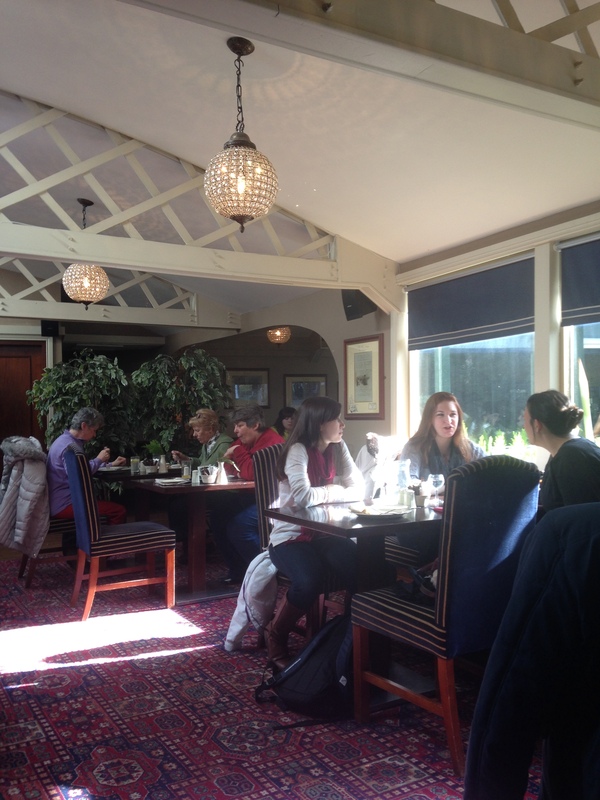 We checked into our hotel at the Woodlands then drove to Limerick to meet with some students at Mary Immaculate College. Their campus is beautiful and you can feel the close knit community atmosphere as soon as you set foot on the grounds. After being greeted with tea and scones, we were welcomed by the President Professor Michael Hayes, and given a tour of the campus with Holly Cowman who runs the student exchange programs at Mary Immaculate. 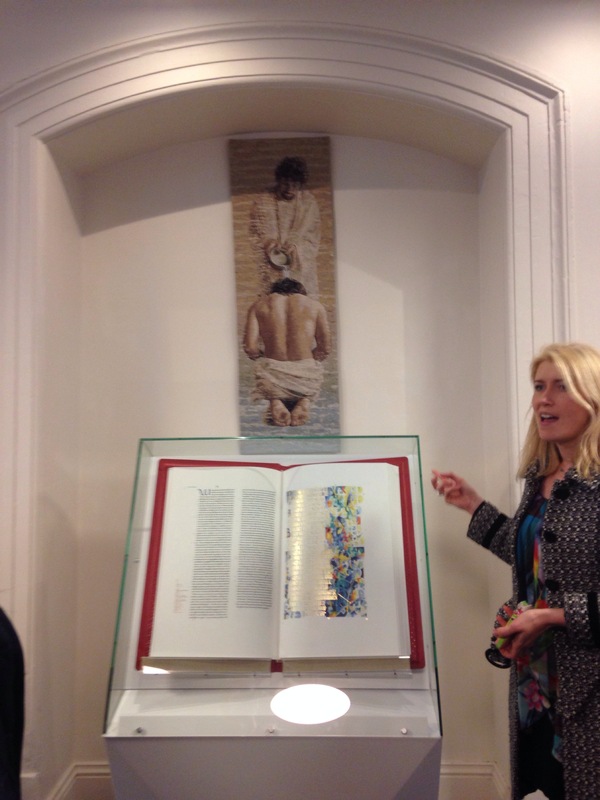 We began our tour in the education center where we were met with sculptures from the German Irish sculptor Imogen Stewart. This artwork has been funded by the Per Cent for Art Scheme by the Department of Education and Science. The Per Cent for Art Scheme was approved by the government in 1997, to allow for the inclusion of 1% of the budget, for capital construction projects, to fund an art project. So where did their 1% come from? Mary Immaculate has recently undergone renovations in 2011 to build a 510 seat theatre, 300 seat lecture hall, and has plans to build a second floor extension to their library. The history of the school has not been lost in the new construction though, in contrast, the new buildings have highlighted the old. 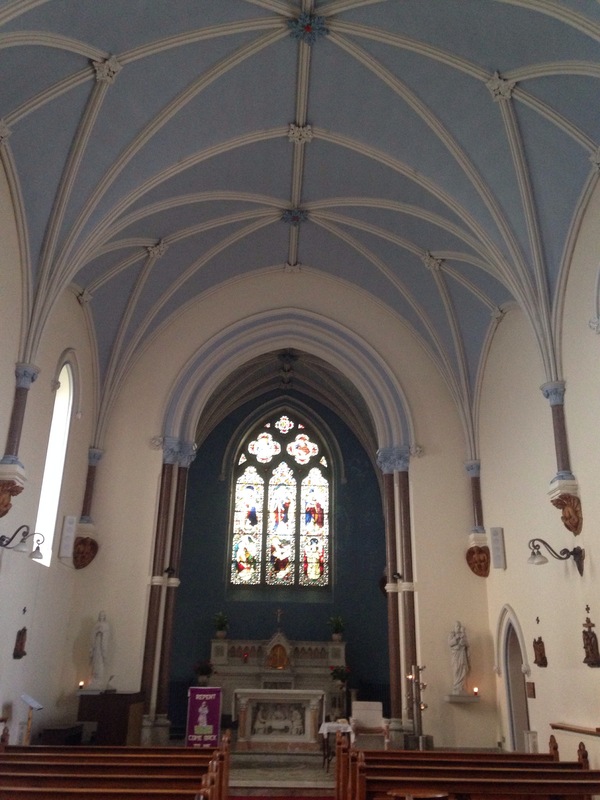 Alongside the new construction is the original chapel built in 1898, which has been beautifully maintained. You can tell that improving their facility and meeting the needs of their students is not only important to Mary Immaculate, but it is a priority. Staying connected with the community is another focus of Mary Immaculate and can be seen with the use of their radio station that is run by over 140 volunteers. 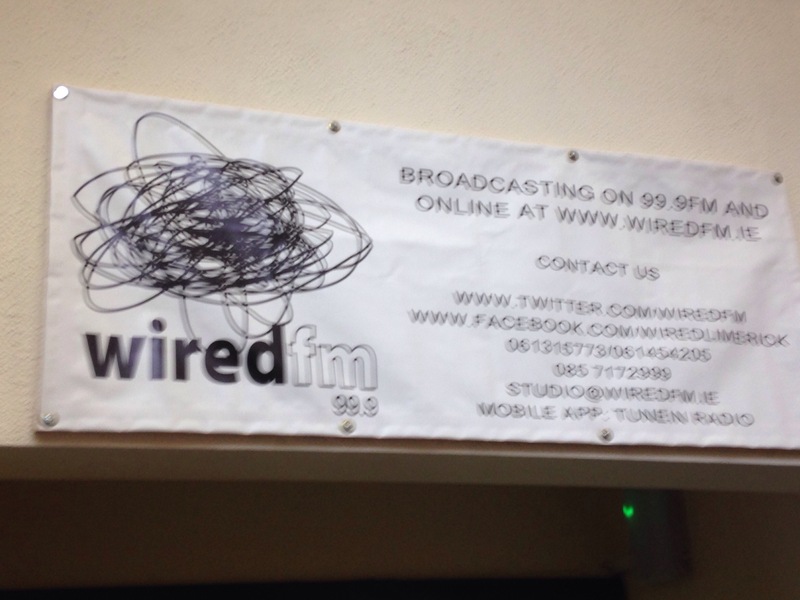 Wiredfm on 99.9fm, is licensed by the Broadcasting Association of Ireland and covers sports, celebrity news, community events, other talk programs, and of course, music. The radio station will take any students from any majors as volunteers and it only takes a 3 hour information session to get started. This is a great opportunity for any student who is interested in media or communications, and is a chance to gain valuable on the job experience. At Mary Immaculate primary education is one of their largest majors. Their Bachelors of Education graduates make up about 40% of the elementary teachers in Ireland. To me, this was very impressive seeing that a student body of 3400 can make such an impact on the future of their country by educating their children. Making a difference at Mary Immaculate means much more than just reaching out to the local community, it means reaching out to the world. Along with having partnerships with schools in France, Spain, the US, and other countries for student exchange, Mary Immaculate is a big supporter of Fairtrade which promotes non-violence in the Congo. While visiting the school we also met with representatives from the Congo along a few visitors from France who were touring the school as well. After our tour we went out for dinner and were joined by a few American exchange students from Texas, Pennsylvania and Colorado that are studying at Mary Immaculate this semester. It was wonderful to meet some American students who had been living in Ireland for a few weeks and hear what they loved about the country. Their majors ranged from nursing to business, and every one of them described spending a semester in Ireland as the experience of a lifetime. 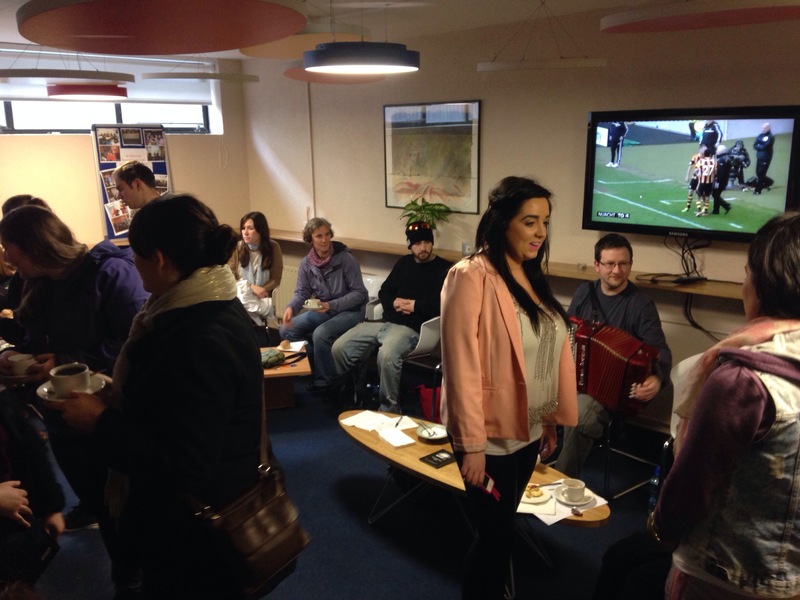 Even though Mary Immaculate has connections with colleges and universities all across the globe, their campus in Limerick has kept its community feel. While speaking with 3rd year students Ally and Cliona who both work at the school helping to organize on-campus events, they said that their favorite thing about Mary Immaculate College is that everybody knows each other. There is a closeness among classmates and the students and faculty form a family. This would be a wonderful school to spend a semester abroad at, and a great community to become a part of. Tuesday morning we woke up to a drizzly day, but that didn’t stop us from hiking up to Blarney Castle to kiss the Blarney Stone. The castle is enormous and full of caves and crevasses to crawl through and explore. We scaled the castle and once at the top we met with two gentlemen that held your waist and lowered you upside down to kiss the stone and receive the gift of gab. Here are a few of the brave souls who lived to tell the tale. When my Grandmother came to Ireland years ago, she had said that one of her favorite parts of the trip was visiting Blarney Castle, and I can see why. The grounds are gorgeous and you could spend hours wondering about along the trails and walking paths. When you reach the top of Blarney Castle you truly feel like you’re on top of the world. 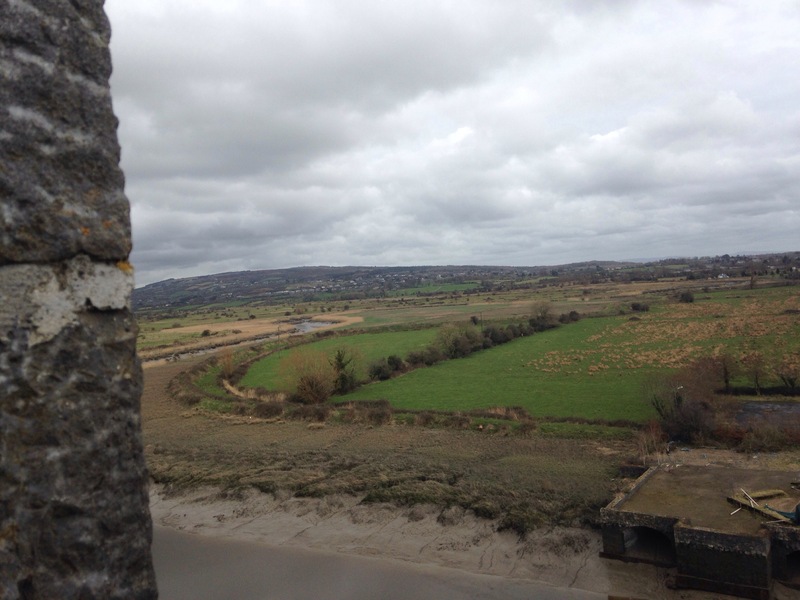 After Blarney Castle, we went to visit Bunratty Castle, where we walked through the surrounding village and saw how the people who lived on the castle grounds lived their daily lives. 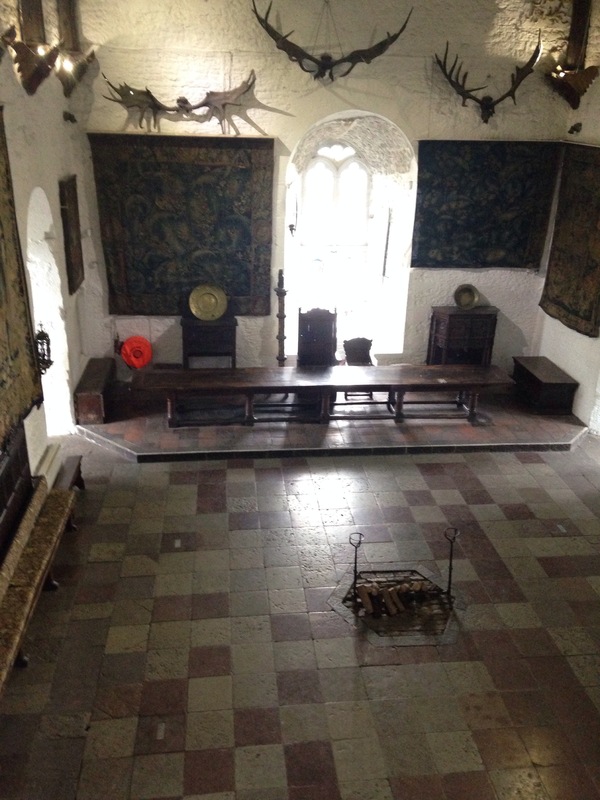 We received a tour of the main room of the castle before we trekked up to see the towers and take in the view. We headed off to our hotel from Bunratty to check in before we left to visit Mary Immaculate College in Limerick to tour the campus and spend the evening with some students. 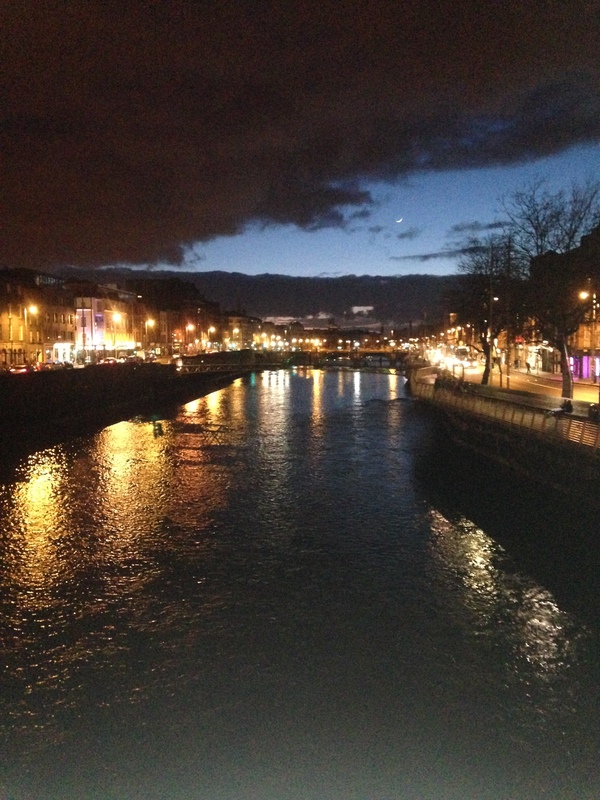 On Monday morning we checked out of our hotel and said goodbye to Dublin. We were on our way to Glendalough monastery which is a beautiful place that I unexpectedly fell in love with. The grounds are breath taking and after leaving the city the green hills and bubbling streams seemed all the more beautiful. It was easy to see why the monks made this place their home. A sense of peace flows through you as you make your way through the winding paths along the streams leading to the two lakes that make up the valley. It was an incredibly humbling experience to be in such a spiritual place. As I was nearing the end of the path a green patch of cover caught my eye. I knelt to the ground and low and behold I found myself with a handful of four leaf clovers. Thirteen to be exact. I find four leaf clovers all of the time at home, and I really can’t describe how much finding these here in Ireland hit home. 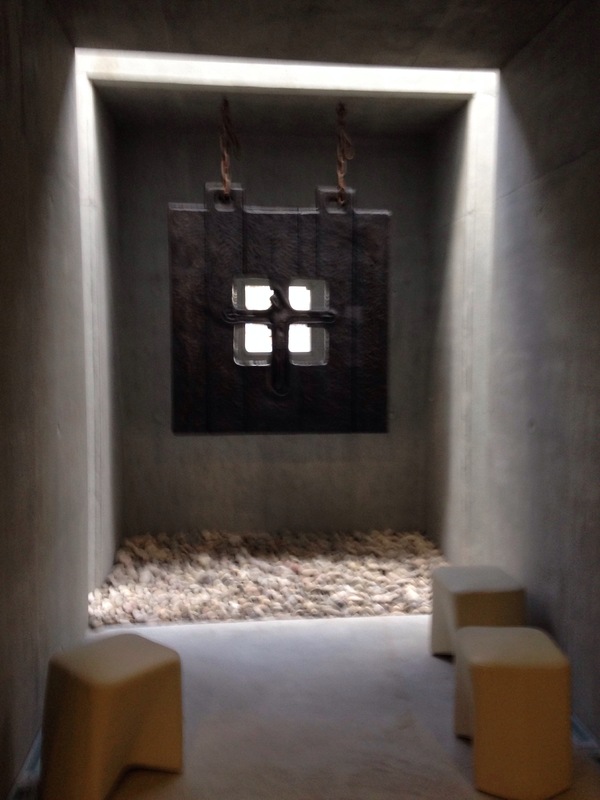 Of the places we have been to, our visit to the monastery has had the most personal meaning to me so far. I feel incredibly blessed to have had this experience, and am so thankful to be here. After eating lunch at the restaurant on the grounds at the monastery we were back on the bus heading for Cork. On the way we made a quick stop at the Rock of Cashel, also known as St. Patrick’s Rock, to stretch our legs before we boarded the bus again and continued our drive to Cork. 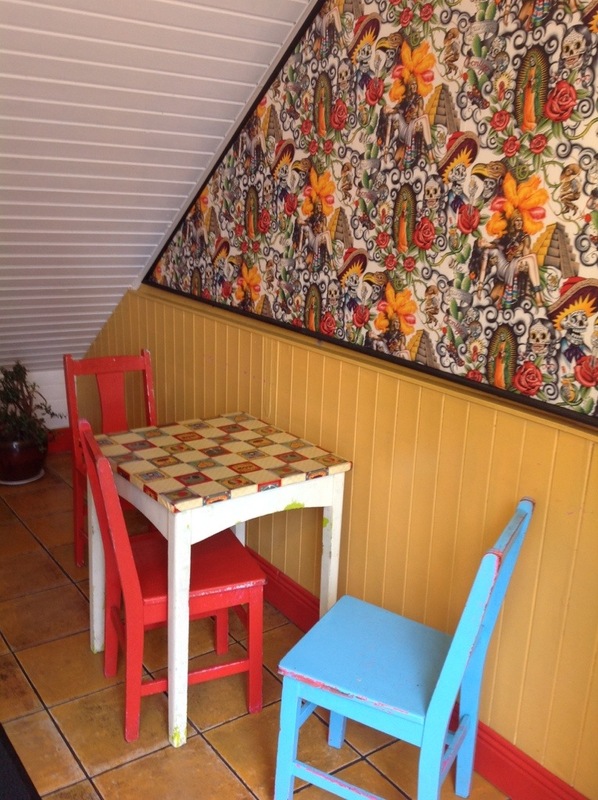 We arrived in Cork in the afternoon just in time to walk through the shops for a bit before we went for a bite to eat at the restaurant we were staying at called the Woollen Mills Hotel in Blarney. After dinner we went to bed to get ready to kiss the Blarney Stone in the morning! After visiting Trinity College in Dublin, we had stopped for lunch then walked to the National History Museum on Kildare Street. The museum has three different branches, in three different locations. We visited the archeology branch which featured displays and artifacts from ancient Ireland. It was interesting to see the way another culture’s society developed over centuries. 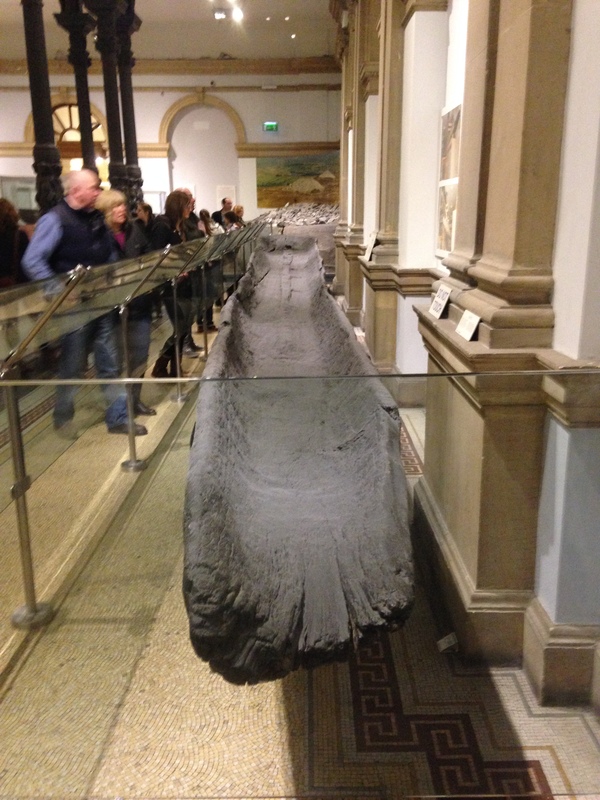 My favorite part of the visit was the display of a 4,500 year old logboat found in Galway. I found it amazing that not only was it intact, but it was enormous, and nearly ran the length of the room. 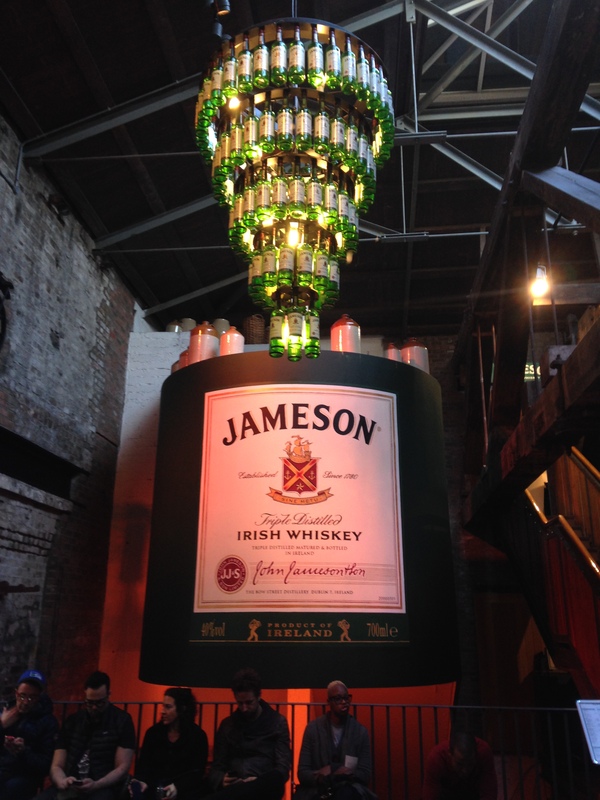 When we had finished walking through the museum we headed over to the Jameson distillery. There we were given a tour of the distillery and a history of how Jameson Whiskey helped to keep much of Dublin employed through tough economic times. At dusk, we walked back from the distillery to our hotel and took in the sites. Watching the sun set and the sky grow dark as the city lights ignited, was an experience in itself. Sometimes it’s simply a walk home with friends that creates the most unexpected and lasting impression of a place that you have gotten to know.